Drug companies are claiming their sector will see a big drop in profits, some 86%—if the proposed pharmaceutical policy is enacted. This drop in profits, down to 1.4%, will sharply limit the industry’s ability to invest in new drugs, compete in export markets and raise money from capital markets, according to three industry associations that are in discussions with a group of ministers (GoM). The key dispute is over the proposed price controls in the national pharmaceutical policy that will cap prices of 354 essential drugs using input costs as the basis. The industry wants less drugs to be in this list, not more as proposed under the policy, and for the caps to be based on market-based benchmarks. The ministry of chemicals and fertilizers, which is the administrative ministry for the drug industry, formulated the proposed ­policy. The Indian Pharmaceutical Alliance, a lobby of 15 major drug makers, the Indian Drug Manufacturers’ Association, and the Confederation of Indian Pharmaceutical Industry, which represents 3,600 small drug makers, presented data to back their claims. A senior ministry official, who didn’t want to be named, said it was too early to comment on the industry data. The premise behind the profit warning is that the increase in span of price control will be 40% and not 12% as indicated by the ministry. “While the ministry will cap only the price of the specified formulations of a drug, it will benchmark all the other strengths in the market as well. The prices of others can’t be way off the mark," claims D.G. Shah, secretary general of the alliance. For example, when the 250mg tablets of broad-spectrum antibiotic, ciprofloxacin, come under price controls—a specified formulation—prices of other dosages, such as 1,000mg, 750mg, 100mg and 125mg, will also have to align or it may lead to a skewed drug compliance by some patients, with half a tablet of 250mg being popped when a 125mg is required. Such practices, believe the three lobbies, will virtually extend the price control umbrella to 40%. By this logic, 40% of the Rs24,440-crore-a-year domestic drug industry, or Rs9,776 crore, will be affected. The overall figure is based on research firm ORG IMS data and excludes institutional medicine sales. The government’s Economic Survey pegs the total domestic market at Rs34,000 crore. The ministry itself had predicted a 30-60% reduction, after price controls, from which the associations have taken 40% as an average figure for their calculations. This, they claim, will translate into a loss of profit of Rs3,910 crore and depress the industry’s total net profit from Rs4,529 crore in 2005-06, as per Centre for Monitoring Indian Economy, to Rs619 crore. As a percentage of the centre’s industry sales figure of Rs43,146 crore, it will mean a total profitability of 1.4%, down from the current 10.1%. 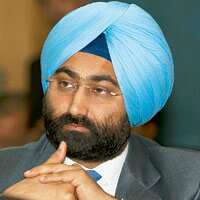 On his way out of the GoM meeting, Ranbaxy Laboratories Ltd’s managing director Malvinder M. Singh claimed that Indian drug prices were the lowest in the world and there was ample competition to keep them in check. And, he said, drugs constituted merely 15% of the total health care bill and not having access to drugs and health care was the larger issue, he said. “A lot of countries compare a drug’s price in its domestic market while approving its (import) price and through that route, it can even depress our export realizations," claims another drug company executive who did not wish to be named. The GoM is expected to meet again in a few weeks to decide on the final policy contours, potentially ending what has been an 18-month standoff between the Indian drug industry and the government.